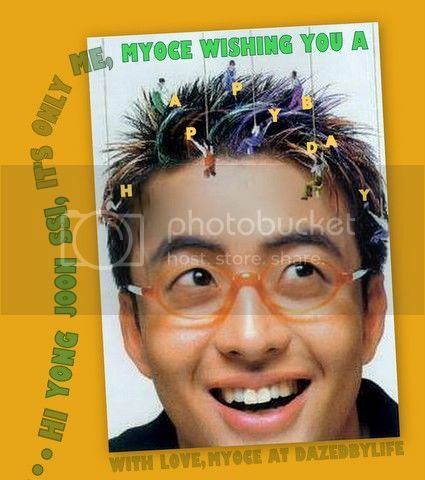 Happy Birthday Dear Yong Joon ssi !! Oh Myoce, it`s such a wonderful card! Happy Birthday to our beloved BYJ. Hi Myoce, wow! I love your BYJ's Birthday Card! The highlits on his hair and those little people coming down from above! Are WE them! haha! Always celebrating together our Man Bday..
Dearest Donna,Leny,Concy and Anabel ! I have been lazy and haven't updated this blog ! Happy Ied to Family and Friends !